3:1 format. This image is growing on me in this ratio. On the other hand, I’ve always loved the 2.40:1 ratio. It is the standard for widescreen cinema (for more than you could ever want to know about that ratio, read the 2.35, 2.39 or 2.40? section of the Anamorphic format Wikipedia page). It has always seemed to mimic my field of vision—the way I want to see. The 3:1 seems to make me feel like I have to look left and right in the image, whereas I can take in the more of the 2.40:1 image at one time (Yes, absolute size influences this also). 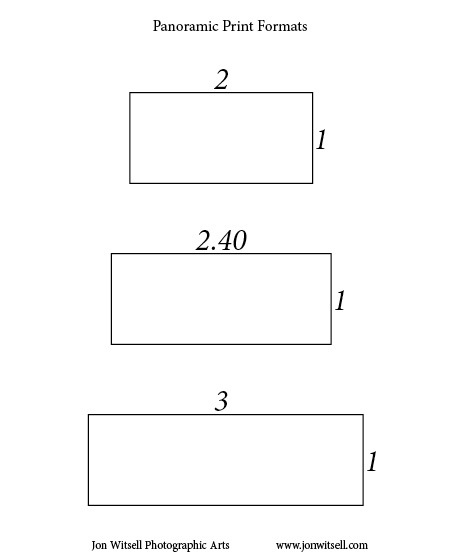 2.40:1 format. This is my favorite panoramic ratio. Probably from my love of cinema. I’m not sure that the extra sky in the 2.40:1 version does anything more for the image. Most of the interesting sky is nearer the horizon. The narrower vertical dimension of the 3:1 version gives more prominence to the incinerator, which contrasts it that much more with the empty countryside. The area of land right in front of the incinerator. You have the dead grass in the bottom of the frame, then an open spot of dark soil, then another band of dead grass right around the base of the incinerator. I like that “layering” or “stacking” of items in the photograph from front to back. In the 3:1 version, the tufts of grass emerge from the bottom of the frame and I don’t get the same sense of foreground. The greater amount of sky and foreground give the incinerator a little more breathing room. That tends to make the incinerator a little less prominent, and give it a slightly more forlorn feeling—it is smaller in relation to the wide open space around it. I think I’m going to have to make large prints of both, hang them on the wall, and then take some time living with them. After a period of time with them my preference will come out from clunking around in the back of my head and I’ll know. I’d love to hear what other people think about the qualities of each format, especially in regard to the incinerator images above. Leave some comments below or on this post on the Jon Witsell Photographic Arts Facebook page. And if you like it, hit the Recommend or Send buttons below. This entry was posted in Fine Art Printing, Panoramic Photography, Technical, Thinking About... and tagged Panoramic.